How do you survive teaching English when hammers replacing pens is just the beginning of a craziness that takes over from the happy and positive normality of a job started 30 years ago? Do you simply survive, strike out or accept defeat? Is hiding in a false ceiling a sensible protest, and will killing the Headmaster bring about dramatic change? Names are changed and a precise location concealed, but could such a school exist and have students and their teachers really behaved like this? 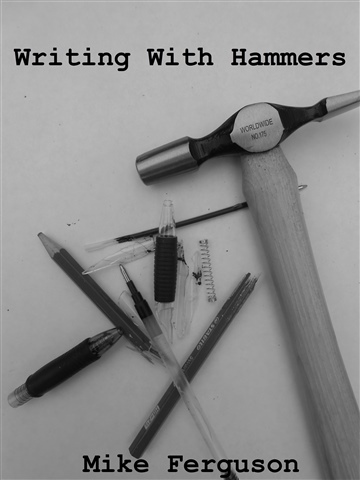 'Writing With Hammers' is a serious, angry, often satirical and always heartfelt novel about teaching English for over 30 years. The book recalls and reveals students, teachers, school and government decision-making, and the full spectrum of ordinary to extraordinary experiences in the day-to-day rigours of the job. It is an episodic story taking a sardonic swipe at the real struggles to find success – which it does – but also power to survive within the daunting demands of this life-consuming occupation. Any teachers as well as students will find real and resonant echoes of their own educational experiences in its humour and honesty. Mike Ferguson is an award-winning, published poet; is widely published in school textbooks, educational journals and online forums on the teaching of English and creative writing, and regularly blogs about writing and autobiographical storytelling. Retired from teaching, he taught English to 11-18 year old students for 30 years, 18 as Head of English. the students, the individuals that the writer deals with every day. despite our best intentions. Moving, funny, sad. Enjoy. I did.